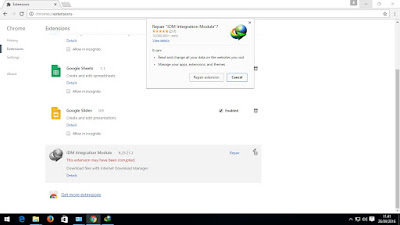 How To Fixed IDM errors (not working) on Google Chrome What should I do? IDM (Internet Download Manager) is a very powerful download accelerator program. Can be integrated with multiple browsers by adding plugins that are automatically installed when installing IDM. 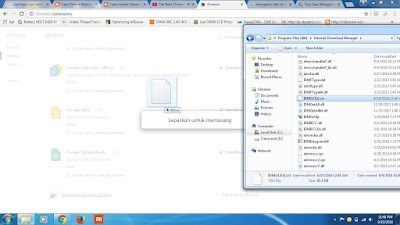 However, some cases on IDM Google Chrome cannot function. This is because the plugin is broken or Google Chrome is updated to the latest series, while IDM is still in the old series, so it is not compatible. How can I Fix an Overcome Come Error IDM? The indication of this problem is that if we look at the extension menu on google chrome, we will see the gray IDM extension and the red text appears ” This extension may have been corrupted ” as shown below. If successful, the color of the IDM extension is no longer gray or colored, and your IDM can be reused normally on Google Chrome. So how to overcome IDM errors or not working on Google Chrome. Maybe useful! !